Color directory program for DOS & OS/2. Allows configuration via an .INI file. 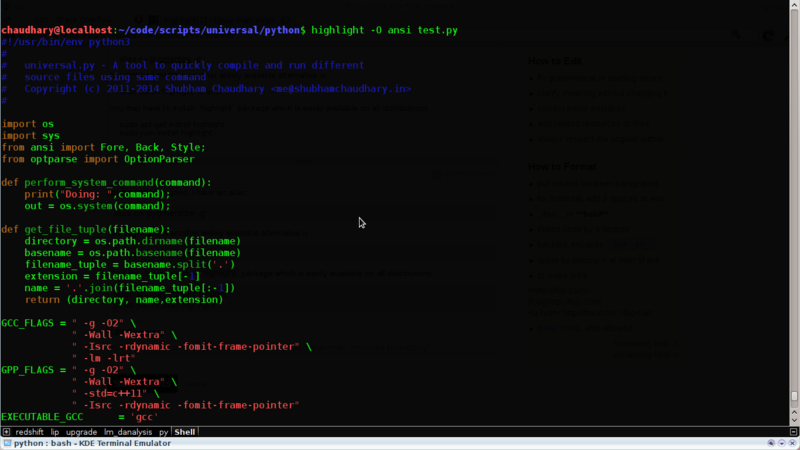 Dir lister – files color coded by extension – very configurable – fast – Free. New Directory and New Directory/2 are Copyright 1995 by Ron L. Smith. if you like and make use of New Directory. are assigned, but you can override defaults by modifying the ND.INI file. New Directory for OS/2 requires OS/2 2.00 or higher. run ND for DOS (I'm SURE you don't run OS/2 in this case). directory, and then delete ND.CMD, ND.BAT, and ND_DOS.EXE. somewhere in your PATH (C:\OS2, for example). statements in both CONFIG.SYS and AUTOEXEC.BAT. directory, and then delete ND.CMD, ND.BAT, and ND_OS2.EXE. somewhere in your PATH (C:\DOS, for example). the configurability of the program. more you can do with ND! to the command line (see example 3 above). d: Drive specification, such as A: B: C: etc. Default is current active drive. path Path to files, such as \DOS \SYS\FILES etc. Default is current active directory. filename File specification, such as *. *, HI?. *, PROG*.EXE, etc. Default is *. * (all files). /A Displays files with specified attributes. S System files A Files ready to archive - Prefix meaning "not"
/B Uses bare format (no heading information or summary). /C Clear screen before display. /F[FS] Display sizes in kbytes instead of bytes (Files/Summary). drive bytes, bytes free, etc.) in kbytes. /H Display (or sort) files horizontally instead of vertically. /J Use STDOUT instead of direct video writes (uses Black/White). Using this will allow redirection. the .EXE directly from the command line. /L[DFMAH] Use lowercase (dirs, files, misc, all). Default=All. Display in lower case letters. /LH Use DOS case settings for OS/2 HPFS volumes. You can combine these options, such as /LDF. /O List by files in sorted order. Example: ND /OGN Sort by name (alphabetic), dirs first. ND /OG-S Sort by size (largest first), dirs first. /P Pauses after each screenful of information. /T Display text files (TXT, DOC, 1ST, ME). /V Display source code files (ASM, C, CC, CPP, PAS, BAS). /W Uses wide list format (default = 6 columns). /X Display executable files (EXE, COM, BAT, (and CMD for OS/2)). OS/2). This is the default columns to display for HPFS volumes. /Z Display archived files (ZIP, ARC, LZH, ARJ, ZOO, PAK, ICE). /# Where # is 1 to 6, number of columns to display. Example: ND /3 display files in 3 column format. values, as well as options set in ND.INI. variable, or the ND.INI file, or built in defaults. with other settings (environment variable, command line switches). to load and use that copy of ND.INI. The ND.INI file is designed to be used with both DOS and OS/2 executables. at the end of this file for more information). DESCRIPT.ION. You can either use ND /1 command or make this the default. like NDOS's describe command. Just type DESCRIBE /? for help. DESCRIBE C:\DOS\*.EXE As previous example, except all .EXE files in C:\DOS. DESCRIBE -? Shows the help screen. future, but currently only the DOS version supports it. it will try to read the descriptions and display the first line only. it will be truncated before display. This section describes in detail the settings in the ND.INI file. (ND.BAT) will use C:\OS2\MDOS\ND_DOS.INI for it's configuration information. If all you want is different color codes for OS/2 and DOS, then read on! ; 1=high intensity (bright), 0=Black background, 2=Green foreground). ; 1=blue background, 4=red foreground). ; order of the sorting. ; ON for upper case, and NO, FALSE, or OFF for lower case. ; HPFS file names are case sensitive (for display, not execution). ; Use a single character for date/time separators enclosed by quotes ""
; be done. A value of 1 to 6 indicates the column limit for AutoSelect. ; Any other value invalidates the entry, and turns AutoSelect off. ;DOSFileMask can be up to 12 characters for DOS. ;OS2FileMask can be up to 30 characters long. ; Any valid OS/2 file specification can be used. ; Note that for HPFS systems, case is NOT sensitive for color coding. ;Wildcards (? and *) are allowed in both DOS and OS/2 specs. ; will result in a file such as FSH.EXE being coded as 0103, NOT 0104.
; remember that ND stops at the first mask that matches the filename. ; The following 50 codes will be recognized under OS/2 only. ; when a DOS window/fullscreen session is opened. and rename ND_DOS.EXE to ND.EXE. ND.BAT, and ND.CMD, and rename ND_OS2.EXE to ND.EXE. files to it, and making that drive appear first in your path statements. actual drive letter of your RAMDISK. sure the target drive (F:\) is your actual ramdrive. d) Shutdown and Reboot your system. comments removed, and any unset options removed (such as DOSFileMask50). by using the /-F or /-FF switch at the command line. to indicate that the filename has been truncated for display. sessions, so you will not see them anyway. Windows is (C) Microsoft Corp.